Completed combination aircraft mechanic course at Aero Industries Technical Institute in Glendale California on 1/1/39. 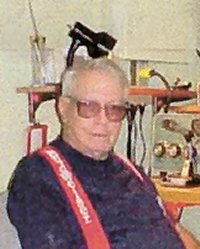 Employed by Glen L Martin Aircraft at Middle River, MD on 9/1/39 as a sheet metal technician. Went to work for Pan American-Grace Airways (Panagra) in Lima Peru 1943-1949 as Flight Communications Officer in DC3, DC4 and DC6. Started with FAA in Honolulu Hawaii as Aircraft Communicator (OFACS), ARTC Assistant Controller and relief FRO from 1951 to 1954. FAA at Honolulu as Flight Navigator HNL-FIG from 1954-1968 in DC4s, L749A and KC-35.